If you’ve used Canus Goat’s Milk skin-care products, you can thank Andree Falardeau, who started the business in Montréal in the mid-1990s. It had international distribution by 2000, when Falardeau moved to the Mad River Valley. Now Falardeau, who recently sold Canus after 15 years at the helm, is trying a new business — food. Her dream, she says, was always to open a pub or tapas restaurant. For now, having observed the growing trend of food trucks and carts in larger cities, Falardeau has decided to defer her brick-and-mortar plans in favor of a cart at 66 Main Street in Montpelier. Lulu’s Sidewalk Bistro opened on May 12. 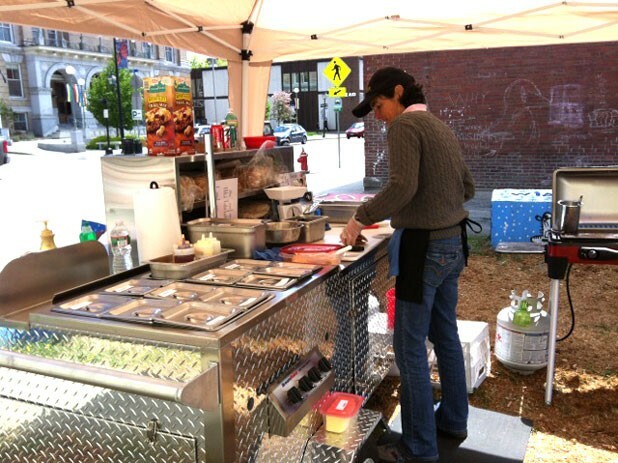 Named for Falardeau’s dog, Lucie, it’s “Vermont’s first gourmet food cart,” the owner declares. The menu includes grilled lobster rolls, falafel wraps and barbecue-chicken-bacon sandwiches. Though Falardeau describes the fare as “bistro gourmet-ish — different than the traditional hot dog and hamburger,” her special last week was a burger with Cabot cheddar and “mounds of vegetables.” Basics such as tomatoes and lettuce aren’t available locally yet, but Falardeau says she uses local ingredients whenever possible, including buns from Klinger’s Bread Company in Burlington. 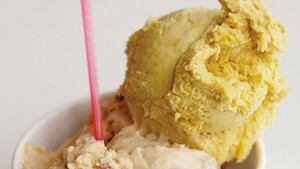 Lulu’s will be open Tuesday through Friday, 11 a.m. to 3 p.m., through the end of October. When they aren’t in Montpelier, Falardeau and her crew will travel across New England to feed the hungry hoards at fairs and festivals, including the Lake Champlain Maritime Festival and Lake Champlain Dragon Boat Festival in Burlington. The original print version of this article was headlined "Sidewalk Sustenance"